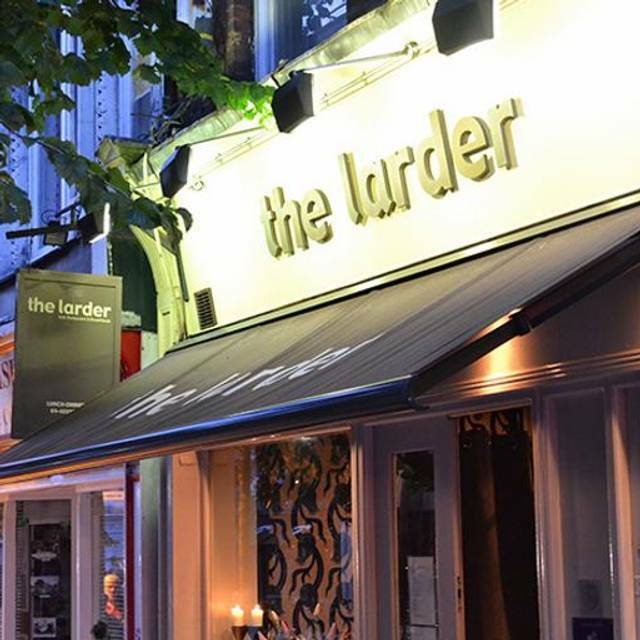 The Larder Restaurant and Brew House is located just in Dublin's Temple bar. The restaurant serves a selection of food and drink throughout the day. 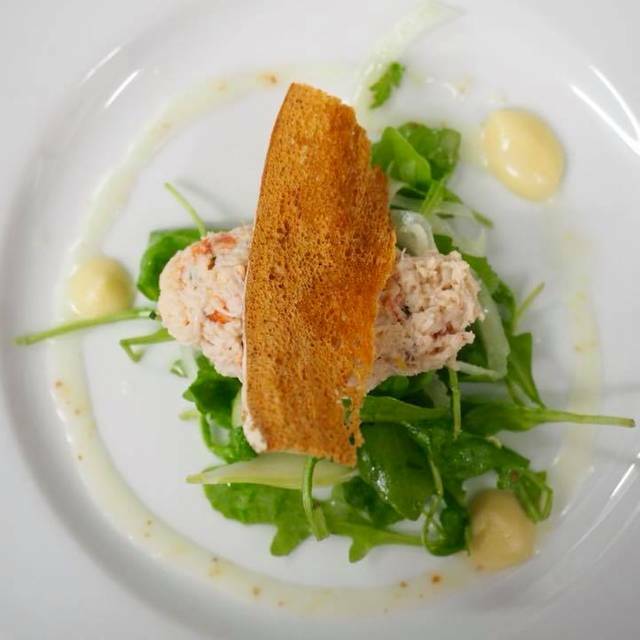 The food offering ranges from traditional Irish to more contemporary European dishes. The inside decor of the restaurant gives it a relaxed and contemporary feel. A good choice for good quality everyday food. Fabulous early bird. Highly recommend if you're looking for great food and lovely ambience. Seat at the window particularly nice. Will definitely be back. We visited The Larder for our 2nd wedding Anniversary and I’m so glad we did. Being a quiet Monday we had the choice of seats and we picked the window seat, which was so cosy, looking at a rainy evening go by in Dublin. The staff we’re very friendly and relaxed. Some nice tunes playing in the background set a very chilled and ambient atmosphere. We went for the early bird menu, which had a great selection at a really good price. Food was served very quickly and I have to say tasted amazing. Crayfish starter followed by an amazingly creamy Gnocchi dish, all washed down by a very, very nice glass of Pinot Noir. Quite stuffed, so ended up sharing a desert....Ladies of Seville, YUM !! So happy to find this little gem. Will definitely be going back to work my way through the menu !! We were greeted and shown to our table promptly. We had a super table which was private but still part of the lively atmosphere. I'm very glad we didn't have one of the tables in the middle of the room which seemed squashed in. The food was really excellent, well presented and tasty. The service was fine. Perhaps a little brusque at their busiest but overall courteous and friendly. Definitely recommended. Each in a group of 4 ordered the Early Bird, which discounts a starter and an entree (and dessert if you have room). Soup was especially good. 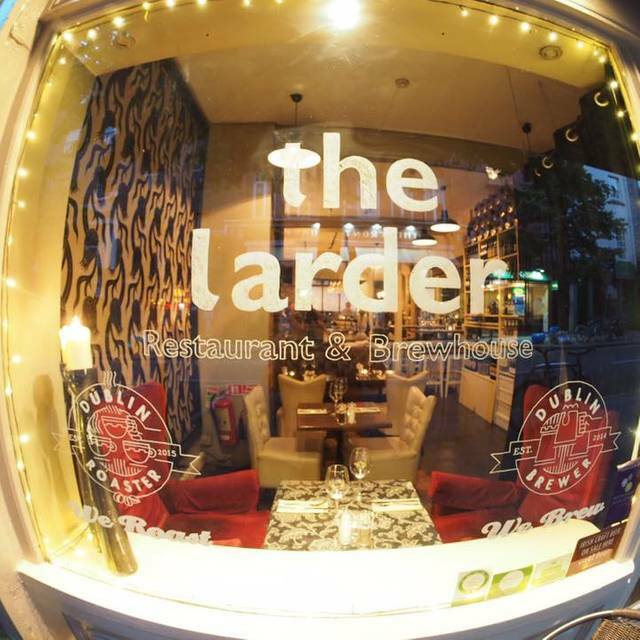 We really enjoyed our meal at The Larder. The food and drinks were delicious and the service was great. Great value brunch. Went for veggie breakfast, Delish and I'm not vegetarian. Waitress was so lovely, friendly. In fact the 3 girls working were super. Asked for coffee in mug and although they didn't have a mug, offered coffee in latte glass. Perfect solution. Gone to a few places for brunch with friends but the larder has it nailed. Maybe invest in a few mugs ideal for brunch? The service and quality of the food is excellent in this restaurant. I would highly recommend it. The one thing I didn't like about this was just a personal thing that they added 10% service charge to the bill and there were 4 of us dining. I prefer to tip based on the experience and quality of service I receive. 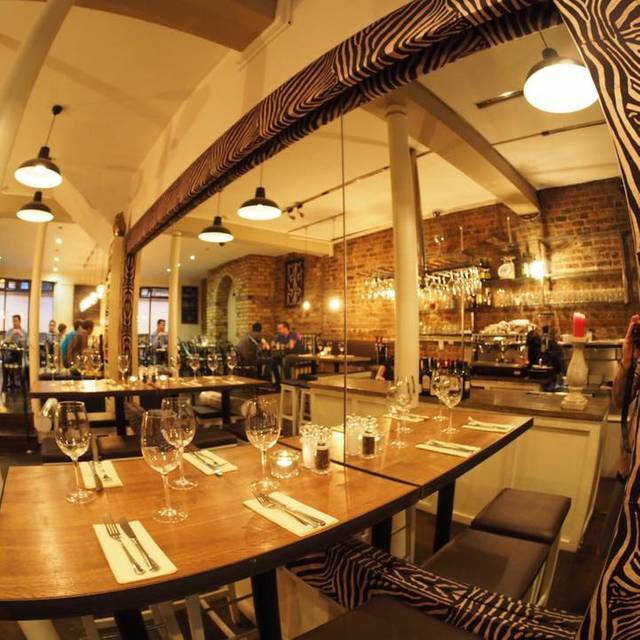 Great spot, great value for money, service was very good and the food was very tasty. Nothing negative to say! Really enjoyed the food and atmosphere. Service was friendly and attentive, despite it being a busy bank holiday weekend. 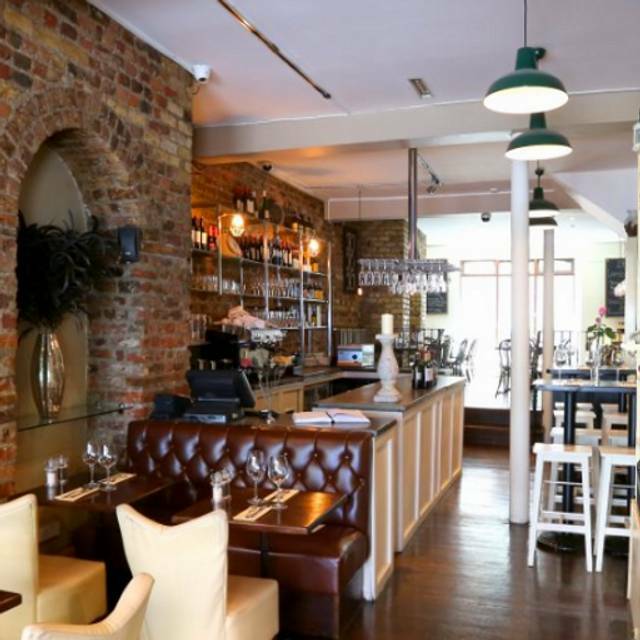 I have since recommended The Larder to a family member and they have made a reservation for next Friday! Very nice restaurant. Food was good and the service was excellent. On the negative side, the tables for two are way too small. Accommodating and discrete. Thanks you for a wonderful experience with friends. Lovely food, great service. €15 steak deal is great value for money. Im Ausgehzentrum von Dublin gelegen. Das Ambiente ist nicht so schön, wie auf der Webseite dargestellt. Das Essen war gut, aber nichts besonderes. Wir habrn in Dublin günstiger und besser gegessen. Das Preis-Leistungsverhältnis stimmt nicht. Die Bedienung freundlich und hilfsbereit. Leider wurde der Abend jäh durch eine nicht abzustellenden Alarmanlage beendet. Das es dafür keine Entschuldigung gab, ist enttäuschend. Great food and value for money. Cosy atmosphere. Definitely recommend. Fantastic meal. We will 100% return very soon. The early bird is top quality and great value. Everything was amazing - the food, the service, the wine, and most importantly - the price! I would highly recommend this restaurant as somewhere to eat for a delicious meal - with extraordinary prices! 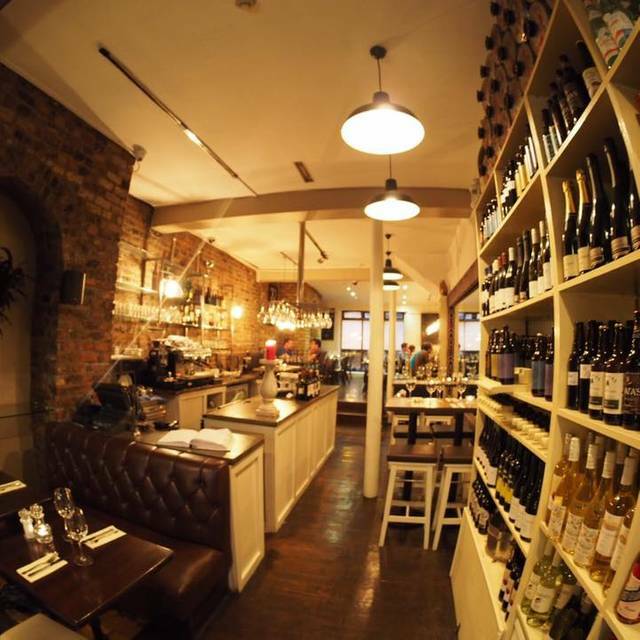 Also the staff were extremely friendly and gave excellent wine recommendations.! Very nice place, great value for money, friendly staff and an excellent atmosphere. The only issue was with the specific seats we were given. It was right by the window, which was excellent, but the two armchairs used are far too big for the area. They were pushed up right against the table, so getting in/out of the seat was far to tricky. Pushing them back was not an option as you'd slide down the "entrance step" which was just behind one of the seats. And having them so close to the table meant no leg room, the leg of the table was completely in the way. (Myself and my wife are relatively small people). They were great to enjoy the coffee in at the end, but not comfortable to eat at, back started aching quite early on. All in all, very good experience, great food and friendly staff! The red armchairs by the window have to go! Really friendly staff... very attentive without being intrusive. Great menu, delicious food and very reasonably priced. Was not at all rushed. Cant fault it. Had a lovely evening. 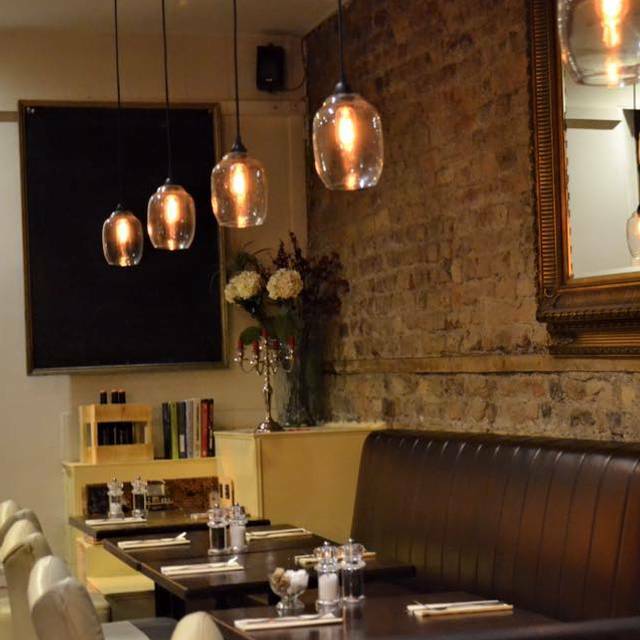 The best chicken wings in Dublin - this place is so underrated. The white chocolate cheesecake is delicious, the wine is good and the early bird is fantastic value. Staff are always kind and attentive. 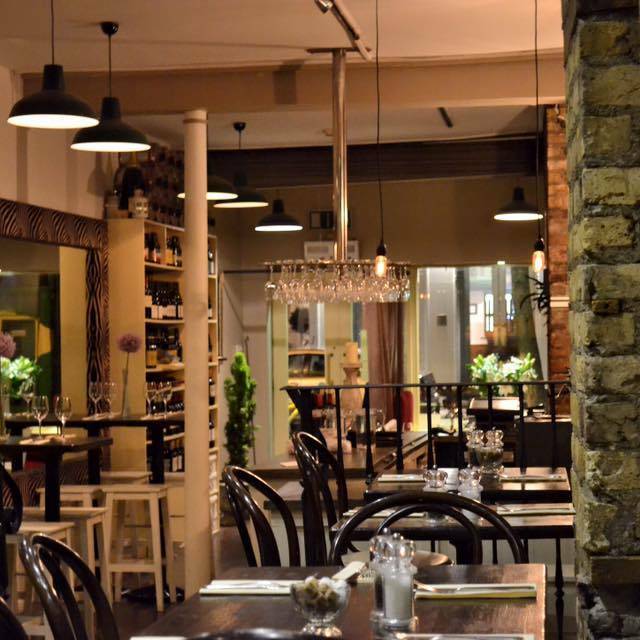 This is our favourite place in Dublin city centre and we always choose the Larder to celebrate our special days. Thank you. Great restaurant! Great staff! Great atmosphere! Great evening! A group of us went on a friends recommendation, we wanted somewhere reasonably priced with reasonable food. We couldn't have picked a better place, food was really good, especially the chicken wings, and it was great value for the early bird. The staff were friendly and efficient, and we'll definitely be returning. Staff were attentive without being overbearing. No problem changing poached eggs to scrambled or the included tea/coffee for orange juice for my nephew. Veggie breakfast was filling, varied and delicious. Coffee was excellent. Great night out - lamb tagine was delicious full of flavour and perfect for a January evening. Friends had duck - cooked perfectly and lamb burger. Starters were nice size - small tasty Crab & crayfish fresh - and cheesecake yum. Super restaurant food always good a real gem in the neighbourhood - always come back. 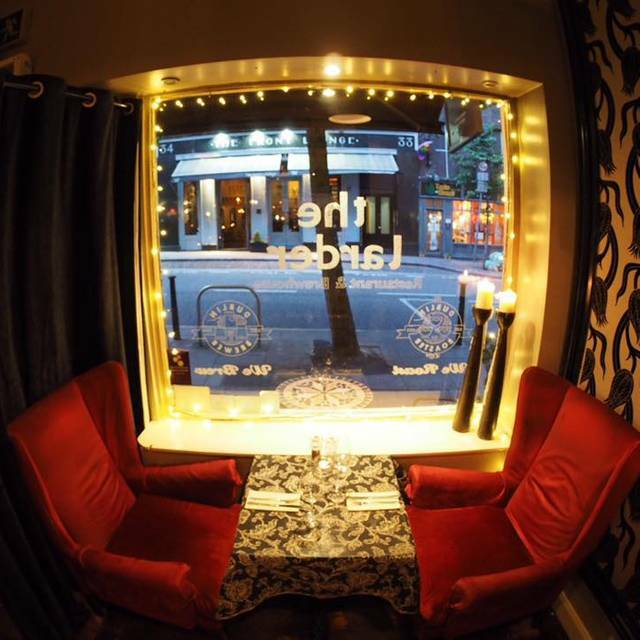 Excellent service and soft ambiance, all topped off with very attentive and polite service and most of all, delicious food. We both enjoyed all of our dishes and my lamb burger stood out, it was very juicy and tasty. A great selection of wines and beers/ales/ciders too, with the beers/ales/ciders from a more select group of brewers rather than the typical large scale brewing companies, which is brilliant to see and another unique selling-point of this fine restaurant. Went for the early bird menu which was the first 4 items on each of the course's. I had the crab and crayfish and my guest had chicken wings. They were both adequate.. Tasty enough. We both went for the lamb burger which was served with home cooked chips and salad. The portion size was good and the burger was fine. Staff were professional and polite and made the experience enjoyable. Based on food alone, there are nearby eateries selling superior offerings, hence I won't pay a return visit. We had a fantastic night in the Larder. The food was fab and the staff excellent. We were the last there but didn’t feel pressured to leave in any way. A great spot all round. Very good simple, typical food in a cozy ambience. Ideal for an informal couple dinner. We’ll be back! Very fun place, great food!